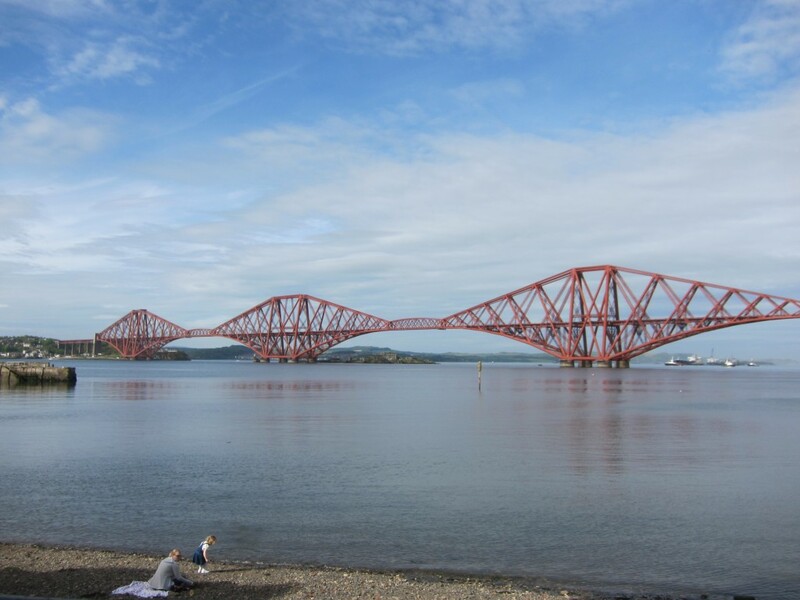 If you’ve never seen the Forth Bridge, this is it. 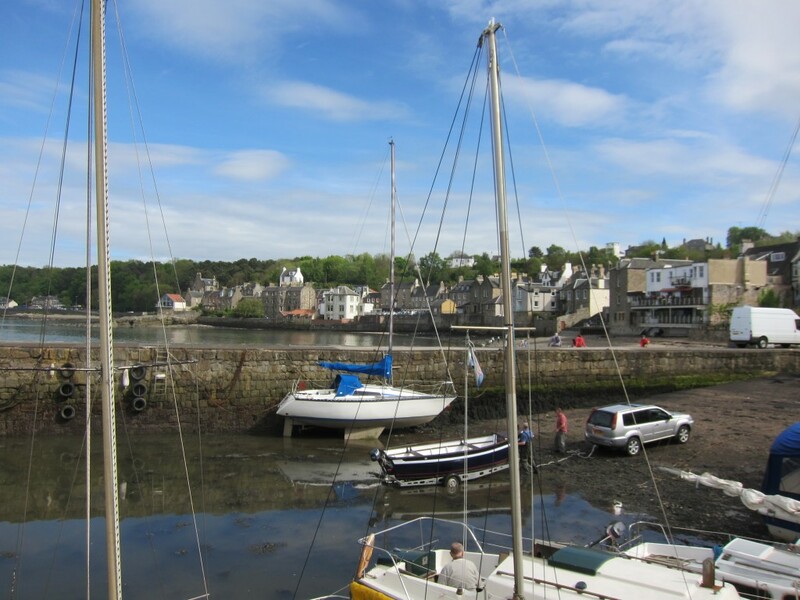 It basically connects North Queensferry in Fife and South Queensferry on the Edinburgh side and is something of a Scottish icon. 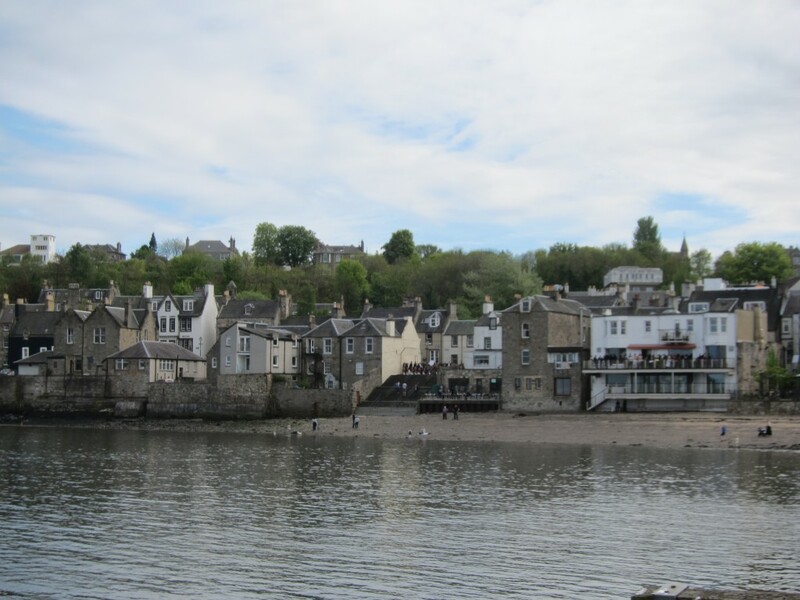 Since we were getting fairly close to suppertime, we decided to stick around South Queensferry, a charming teeny tiny waterfront town that has some of the usual tourist traps — gifty souvenir shops and seafood joints. But in the off season (or on a slightly chilly day) there is a little tranquil. 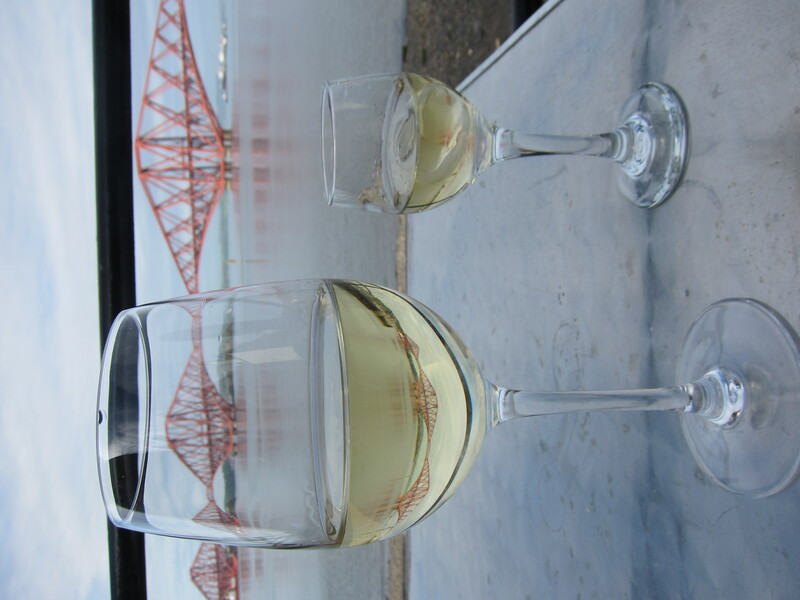 I’d read about a little restaurant by the water in South Queensferry and from the pier, we thought we spied it. So, first up: mussels in a white wine and garlic cream sauce. We had ordered the appetizer portion and when it arrived, I wondered if the entree version might be able to feed three families. 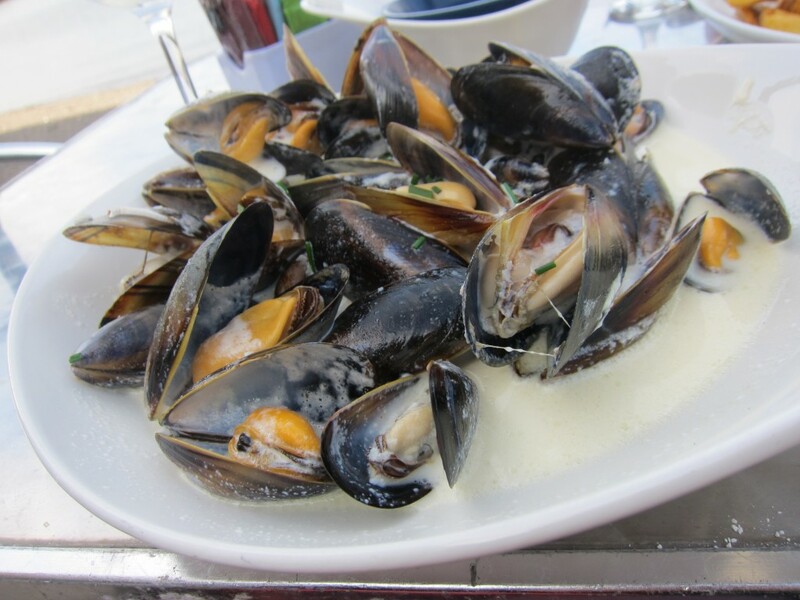 The sauce could have used a little more herbs but the mussels were fresh and nicely cooked. Since you can’t be by the water in Scotland and not have fish and chips, we went down that path next and it was delicious. 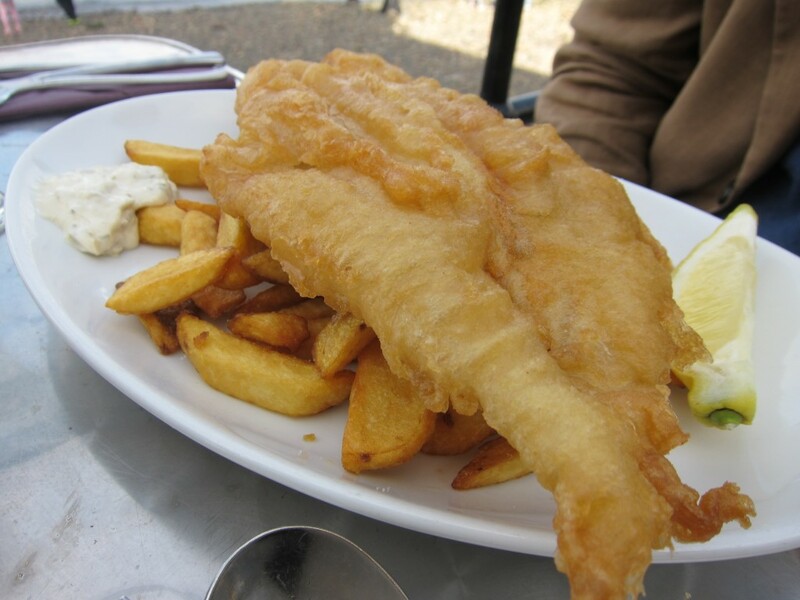 The fish was very nicely battered and fried (loved how airy and crispy it was) and while the chips weren’t anything special, they, too, disappeared in a flash. 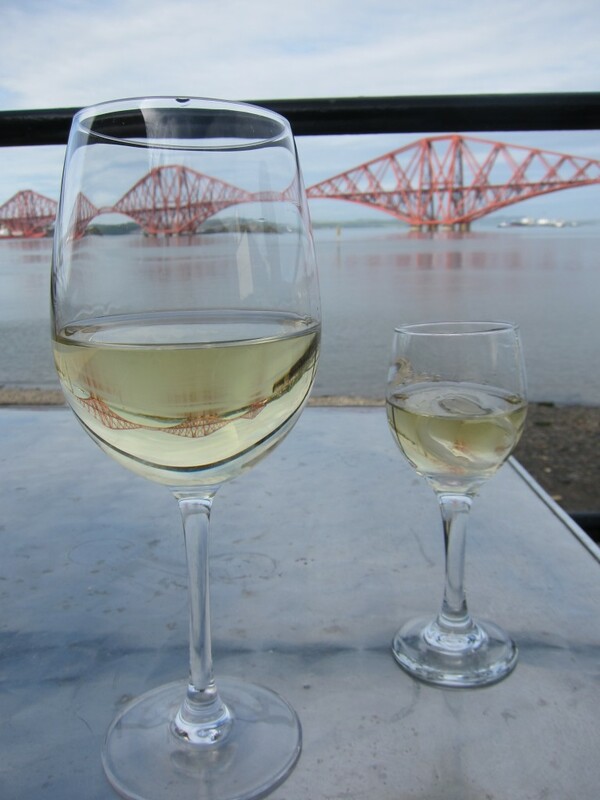 Truth be told, as satisfying as our meal was, the best part about it was just sitting by the water with a glass of deliciously crisp sauvignon blanc in hand and that stunning bridge before us. Now that alone was worth the wait.